Although central to the tour's philosophy are Bali's beautiful gardens, our tour is more than just gardens. You will have the unique opportunity to spend time with local artists, renowned designers and architects and visit public and private estates and homes. Participants will also be able to experience Balinese culture firsthand by attending traditional Balinese ceremonies and gatherings. Of course, no trip to Bali is complete without a visit (or two, or three...) to one of its many incredible spas for serious relaxation and pampering. Built into the itinerary of our tours is time for our guests to enjoy Bali's natural beauty such as the lush natural landscape, tiered rice fields and breathtaking ocean views. 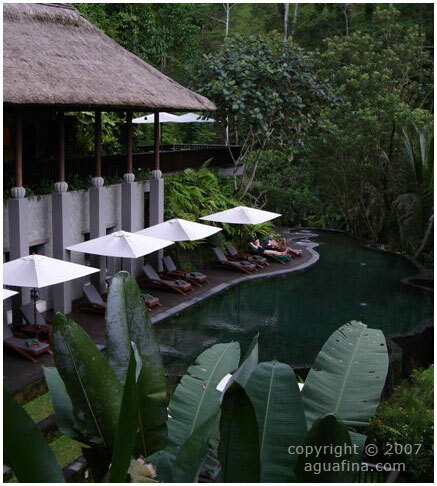 In Bali there are more than enough activities to soothe, rejuvenate and inspire. Our tour actually begins with a Rendezvous in Singapore. Here you will have a chance to relax after your journey and meet the other participants in the tour. Singapore is well known for its gardens and public spaces and there will be an opportunity to visit some of the landmarks of the city including q trip to the botanical gardens.